Garton Jones has property to buy and to rent – don’t miss out! The second significant residential contribution to Victoria after Wellington House, Kings Gate boasts outstanding views of Buckingham Palace and the Royal Parks to the North, and is a truly unique, luxury development. 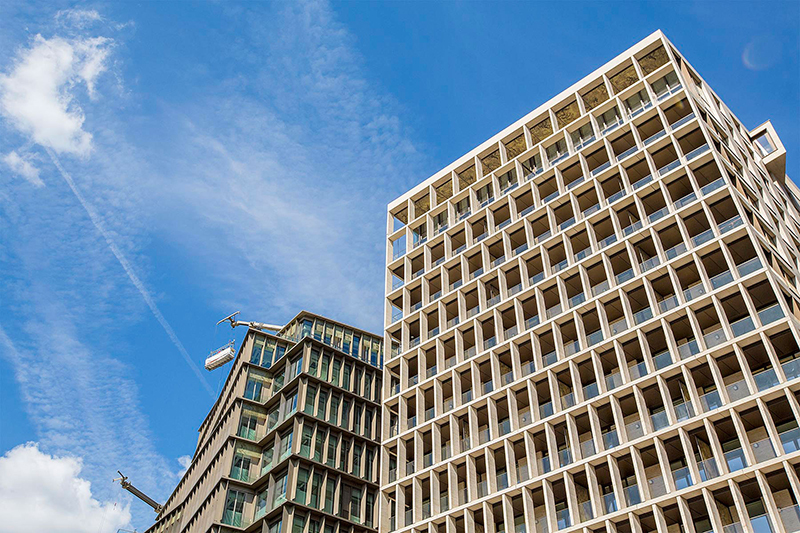 Kings Gate is part of a wider project by commercial property company Land Securities, which is behind London’s most significant and ground-breaking developments in recent years. The developments are about creating a vibrant, bustling and upmarket yet accessible vibe, buzzing with restaurants, amenities, cute bakeries, terraces, royal parks and gorgeous riverside walks. Long gone are the days when Victoria was known as simply being a ‘stop-off-point’, it’s now changing and is attracting not just international businesses, but also appealing to those looking to be in the centre of London, enjoying all it has to offer. Victoria is fast becoming a hub of creativity, commerce and culture, with archetypal British heritage living right alongside international businesses and fashion brands. Each of the uniquely-designed 100 residences has been constructed with luxury in mind. There’s a choice of one up to three-bed apartments, decorated with warm tones and bright touches. Studio apartments are also available for those looking to buy and rent property in this truly resplendent development. These are decorated in lighter tones, with a variety of textures, with the four-bed penthouses a truly fantastic investment. The interiors have a rich palette of luxury materials, elegant simplicity and discreet luxury, combining modern sensibility with British design values. The entrance hall is made of limestone, with a timber entrance door, oak flooring, timber skirting, and the living rooms have 100% wool carpets and fitted wardrobes. The facade of Kings Gate looks out onto Victoria Street, with grand bronze metal ballustrades. The height opens up amazing views, with the pedestrian thoroughfare creating an excellent sense of space and light. Victoria is undergoing a once-in-a-lifetime transformation. Investing in a property in SW1 is a great move for canny investors. The neighbourhood is just a stone’s throw from St James’s Park, close to Strutton Ground market, with upmarket boutiques such as Phillip Traecy and independent hotel The Goring, giving it that special feel. Kings Gate is set to complete this month, don’t miss out – you can’t afford to! There are plenty of apartments up for sale and for let, make sure you contact us for more information.